Hydraulic Post Drivers – Hydraulic Post Drivers for sale and hire for host machines ranging from excavators to skid steer loaders. Visit our website for more information. Hydraulic Post Drivers for sale and hire for host machines ranging from excavators to skid steer loaders. Visit our website for more information. The PostMaster Range allows the installation and repositioning of posts to be easier, quicker and safer than conventional falling weight machines. Our Mini PostMaster fits machines from 1.5 – 3T. It fits directly to the bucket pins and can drive in posts up to 6” (150mm). The unit requires 2x hoses for operation/double acting service. The Mini PostMaster is the smallest unit in the range, weighing on 180kgs, it’s compact design and light weight allows safe use on smaller host machines without compromising on stability. Our Midi PostMaster fits machines from 2.5 – 5T. It fits directly to the bucket pins and can drive in posts up to 8” (200mm). The unit requires 2x hoses for operation/double acting service. 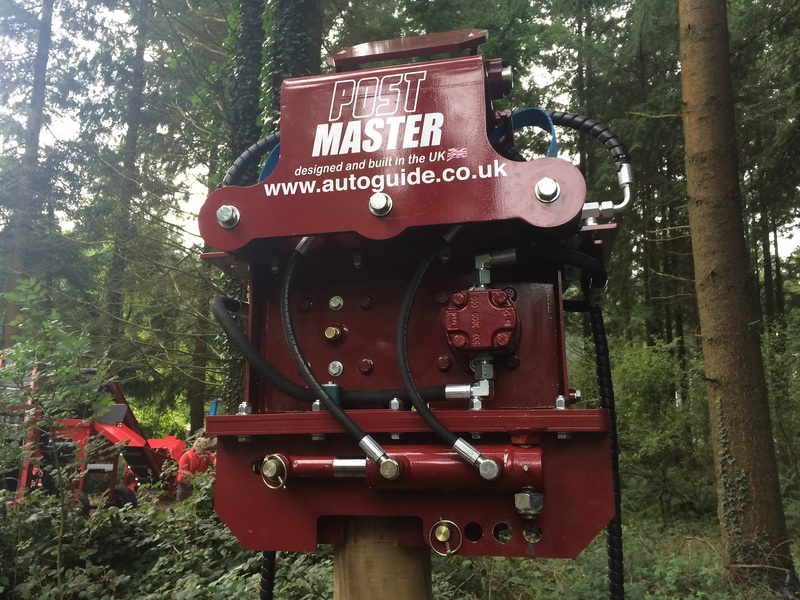 The Midi PostMaster is the big brother of the Mini, with more power available from larger host machines it is able to install a large variety of posts from 3” timber to straining posts and solar farm steel sections. Our Maxi PostMaster fits machines from 5 – 8T. 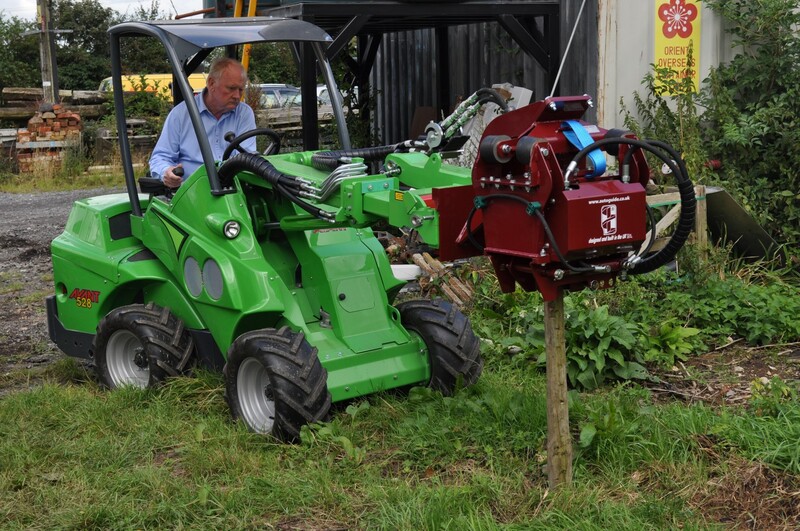 It fits directly to the bucket pins and can drive in posts up to 10” (250mm). The unit requires 2x hoses for operation/double acting service. The Maxi PostMaster has been designed with full time contractors in mind, with double the live energy of the Midi PostMaster it boasts hard hitting performance with refined accuracy and speed. Faster install time coupled with the machine's range of movement, results in finished jobs ahead of schedule and larger profit margins for contractors. The PostMaster range allows for accurate placement of posts. Less cumbersome and less pinch points than traditional falling weight machines helps you to comply with OHS and WHS Regs. The PostMasters are quieter for the operator, co-workers and nearby bystanders. 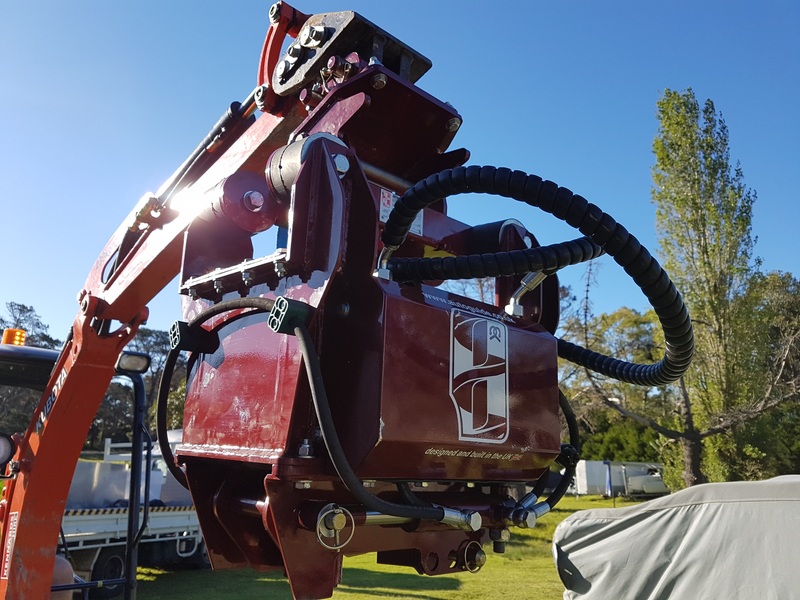 With readily available hitch and bracket manufacturers across Australia it makes the PostMaster range of Hydraulic post drivers easy to mount to a variety of different host machines. 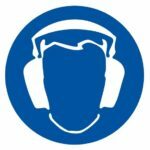 They are fast and easy to remove once your post driving work is complete, allowing you to return your plant and equipment back to carrying out other tasks, such as lifting or digging. With a spare hitch/head bracket to suit another machine it allows the PostMasters to b interchangeable between host machines allowing for greater flexibility of available plant for contractors. Our PostMaster range allows the 2 man team to install posts faster, quieter and safer than conventional falling weight machines. The high pressure motor seal is compatible with the excavator or loader auxiliary double acting hydraulic service. The unique post clamps hold the post securely with minimal damage, it also allows post extraction for old posts or for repositioning new ones. 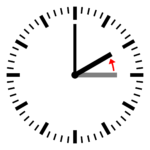 The jaws can be opened and closed by applying forward and reverse flow. The post clamp system offers 3 pre-set positions to allow a strong secure grip to the posts. 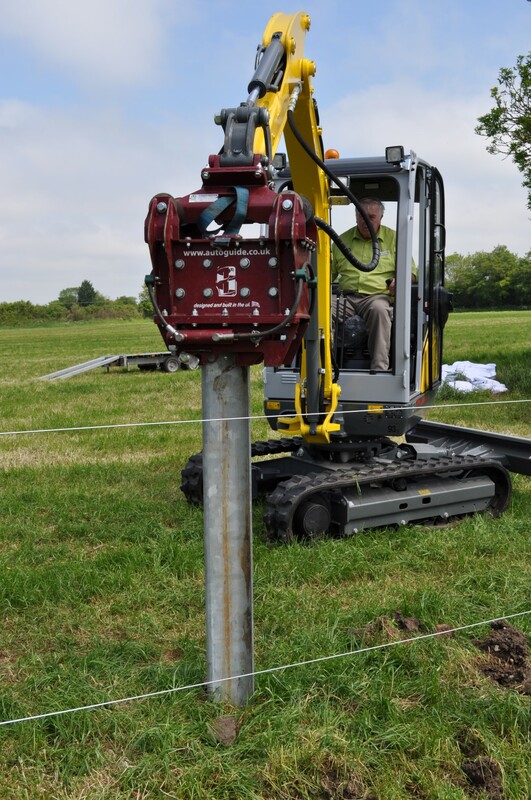 The clamp is easily changed to suit the type of post and material you choose to use, offering a strong connection for grabbing, positioning, repositioning, driving and extracting. Jaws will suit round, square, pre formed channel or Z section posts made of timber, steel or composite material. vibrating post driver for excavator, used post driver for skid steer, used hydraulic post driver, tractor fence post driver, skid steer post driver for sale, skid loader post driver, postdriver.com, pilecom.com.au, post drivers for sale, post drivers for sale australia, post drivers for tractors, post driver hire, post driver for excavator, post driver attachment for skid steers, mini excavator post driver, hydraulic post rammer for sale, hydraulic post drivers for sale, hydraulic post driver manufacturers, hydraulic post driver hire, hydraulic post driver for sale, hydraulic post driver for excavator, hydraulic fence post driver for sale, front end loader post driver, fence post drivers for rent, fence post driver for sale, fence post driver, excavator post driver for sale, excavator mounted post driver, buy hydraulic post driver, best hydraulic post driver, winery post installation, vineyard post installation, vineyard installation, vineyard establishment, vibratory post driver, solar farm installation, post knocker, post drivers australia, post driver sale, post driver hydraulic, post driver hire, post driver australia, kubota post driver, hydrolic post driver, hydraulic post driver, farm fencing installation, excavator post driver. Contact us for PostMaster purchase and hire prices. All Content is Copyright © and the intellectual property of Helicrete Pty Ltd.